Constellations were a kind of primitive dot-to-dot, and a way of storytelling long ago! Give your child a challenging dot-to-dot where he'll have to count by 2s. When he's done he'll see the constellation Aquila. 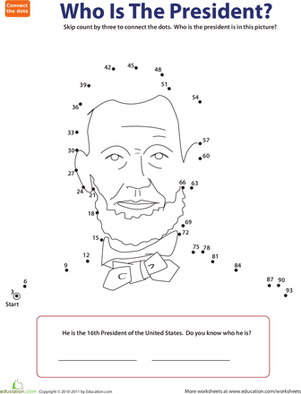 Challenge your second grader by having him complete the dot-to-dot worksheet by counting by fives to finish the picture. What animal is hidden in the numbers?